WASHINGTON— According to a leaked memo obtained by the Center for Biological Diversity, scientists with the U.S. Fish and Wildlife Service have been ordered to reverse their own conclusions and withdraw last year’s proposal to protect American wolverines under the Endangered Species Act. Photo by Steve Kroschel, USFWS. Photos are available for media use. Fewer than 300 wolverines remain in the lower 48 states, and global warming over the next 75 years is predicted to wipe out 63 percent of the snowy habitat they need to survive, government scientists have said. In fact changes due to climate warming are “threatening the species with extinction,” the Fish and Wildlife Service said in last year’s announcement of its protection proposal. Now the memo — signed by Noreen Walsh, director of the Rocky Mountain Region of the Fish and Wildlife Service — tells federal scientists to set aside those conclusions, even though there has been no new science casting doubt on those findings. Based on the conclusions of the panel, scientists from the Montana field office of the Fish and Wildlife Service recommended that protection be finalized, but, as shown in the leaked memo, were overruled by agency bureaucrats. In response to the proposed rule, the states of Montana, Idaho and Wyoming all submitted comments opposing protection of wolverines, questioning the science behind the conclusion that they were threatened by climate change. To address these concerns, the Fish and Wildlife Service delayed final protection for six months and convened an expert scientific panel to evaluate the science. 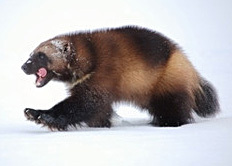 The panel issued a report in April 2014 concluding that “there are three primary climate related factors that are correlated with wolverines: persistent deep snow, contiguous snow, and temperature,” a finding that led to the panel’s unanimous statement of concern for the long-term survival of wolverines in the contiguous United States. These conclusions support the conclusion of the proposed rule that the wolverine is threatened with extinction. In contrast, the recently leaked memo overrules and ignores the substantial evidence and conclusions of the proposed rule, the independent science panel report, and the strong conclusions of the Montana field office, which is staffed with the agency scientists who have the greatest knowledge of wolverines.